1973 Lamborghini Espada Series 3 with power steering. Luci di Bosco with Verde interior. Very low mile car with only 20,000 Miles. I have known this car for many years, this will be the third time I have sold this car, the last owner/enthusiast has had it over a decade and he carefully preserved it while making sure to regularly drive the car. There is an extensive service history documenting the care that was given to this car. It runs and drives very nicely! With the exception of the small dent the driver side front nose and the crack in the windshield(the car comes with a brand new in the box proper windshield), I would say this car is in excellent original type condition. 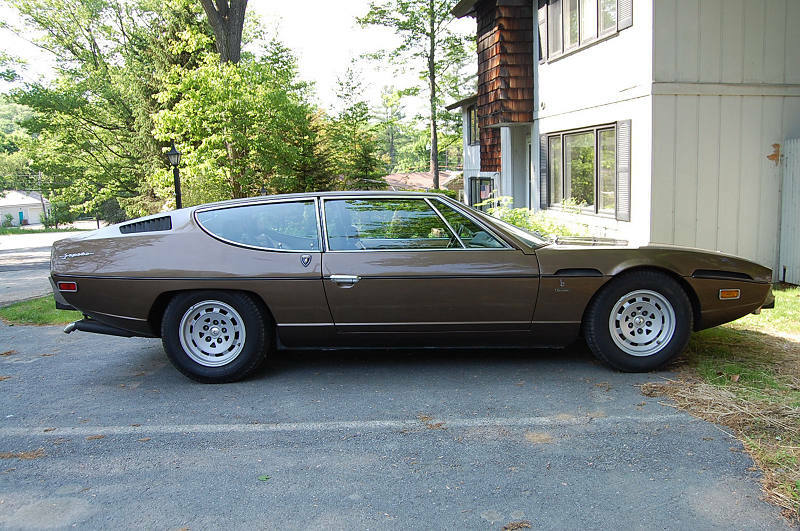 This is the most desirable configuration of the Espada with the power steering and before they put on the ugly rubber bumpers. The color scheme on this car works, it is striking in person! If you want a great Espada this is one to seriously consider, these are great road cars, you can fit 4 adults in them and they make one of the sweetest engine sounds in the car world.